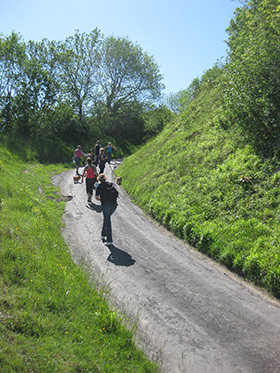 Congratulations to The Healing Animals Organisation Diploma students who raised £1336 from Saturday’s 5k sponsored walk in aid of Critter Corner Ferrets, a rescue and rehabilitation centre for abandoned young and elderly ferrets. 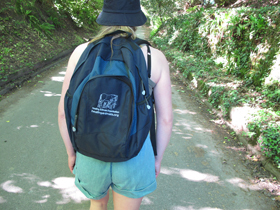 Diploma students from the previous week’s sponsored walk also raised an incredible £917 for animals in need. We set off early in the morning to avoid the midday sun. Luckily there was a beautiful cool breeze that enveloped us for much of the walk. Lily Morris and Frankie enjoyed the walk immensely and were wonderful companions, as were three ferrets that accompanied us. 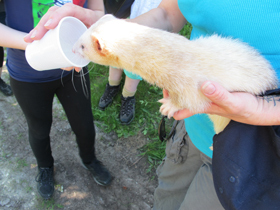 The ferrets travelled in portable, well ventilated carriers and enjoyed a pit stop half way, drinking some water and settling back to sleep for the rest of the walk. The camaraderie amongst the students was second to none. We all had a brilliant time. I am so proud and privileged to know a great bunch of friends. May your light forever shine, thank you! Anyone who doubts the power of a few people trying to make a difference, need look no further than the efforts of the Diploma in Animal Healing students. 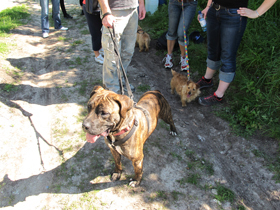 One learning outcome of the Diploma course is to “organise and run a fund raising event for an animal charity”. 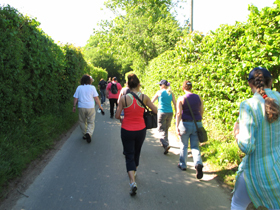 Spring 2012, two student groups took on the task with the tried and tested sponsored walk. 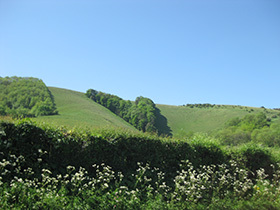 Given that the Sussex countryside around Sussex was blossoming from every stem, a 5km walk seemed perfect. Paws Animal Sanctuary; Paws helps dogs, cats, rabbits, guinea pigs, micro pigs, ponies and countless winged creatures. The variety of animals presents a constant need for spontaneity as staff provide particular housing and nutrition needs for all. 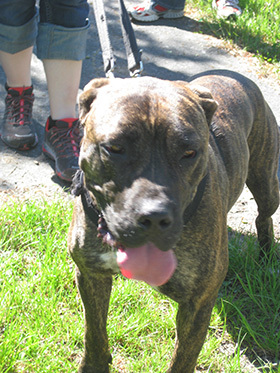 Many animals are permanent residents due to their age or medical needs. Wild Wings in Cornwall; A wonderful and unique centre where owls, hawks, falcons, and eagles can enjoy the freedom of 2000 acres of gorgeous countryside and the security of the knowledgeable experts. The birds have aviaries that suit their needs and are able to fly freely nearly every day, hunting their natural prey. Sharon and Phil take in injured birds that other rescuers and even vets may determine could be put down, and give them time to heal. With even a short stay, the joy of release is often combined with a human tear or two as the birds soar off to their second chance at a free life. 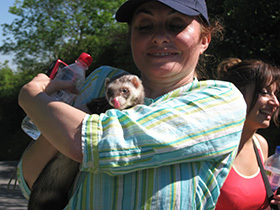 Critter Corner Ferret Rescue in Buckinghamshire; Ferrets as workers and pets tend to fall through the cracks of care and rescue. Not considered a ‘normal’ domestic pet (thank goodness we are not seeing them sold in pet stores), yet not a native part of the UK countryside, ferrets are victims of mis-information and inexperience. Yet they are lively, charming creatures with big personalities and a relatively long life span, who make wonderful companion animals to an informed carer. RSPCA inspectors, local animal welfare centres vets and the public all make contact for rescue, help and advice. White Rhino project South Africa – funds to help promote the endangered white rhino to local communities. The challenge with any fund raising effort is to find the passion in a potential sponsor for the particular cause. However, HAO students carry an inspirational inner light. Each group trekked for 5k within the beautiful National Park and marched up onto the top of the South Downs for a stunning view. On one walk, Sharon from Wild Wings and MHAO graduate carried Ruthie, a newly rescued Harris Hawk from the RSPCA on her arm. On the second, three ferrets from Critter Corner (Fergus, Champ & Bella) reclined in their specially ventilated carriers as students took turns escorting them. The descent from the Downs to Sussex was exhilarating with breath taking views of the surrounding countryside. At home base sponsor forms were tallied and celebratory shouts raised as the amazing totals were revealed. Group 1 broke existing records with £917.00 followed just the next week with another record-breaking total by Group 2 of £1,326.00! The amounts raised will help these rescue centres with vet care and other specialized food and housing needs. 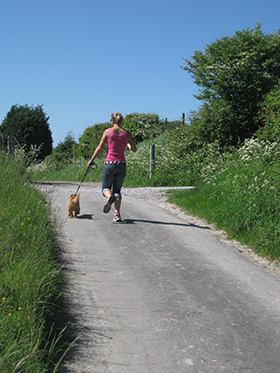 Whether the end result is a re-homing, flying free, or a loving, permanent home in care it is all enhanced and made more possible by the work of the Healing Animals Organisation.